One of the most rewarding aspects of being a Lookout intern is that I consistently have the opportunity to work on projects that I didn’t even know were projects until the time I begin working on them. The most recent (and possibly my favorite) example was establishing the order for Lookout’s forthcoming anthology Astoria to Zion: Twenty-Six Stories of Risk and Abandon From Ecotone’s First Decade. Last spring in the Publishing Practicum course, we began reading all of the stories published in Ecotone in the last ten years. Through a semester-long process of inclusion and elimination, we were left with twenty-six stories that our publishing instructor, Emily Smith, the other Ecotone editors, and we, as a class, collectively loved. The stories are wildly distinct, but there are some recurring themes: violence, love, betrayal, birth, death, memory, just to name one handful. 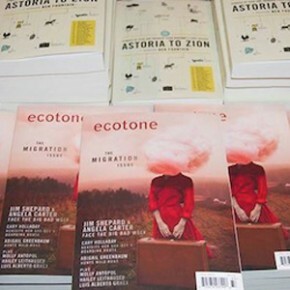 And of course, since Ecotone is a literary magazine that celebrates place, setting and atmosphere also play a prominent role in almost every one of these stories. The way one goes about ordering an anthology is by creating a sort of longer narrative thread through the voice of individual pieces. We were conscious of the theme of each story and how one might play off the story before or after. We read first and last lines, and asked ourselves how a reader might feel in transition. Would it enhance or detract from the overall effect? Did two stories take place in a blizzard? Yes? Split them up. Did two stories feature the same animal? Yes? Allow some space between them. Should a story about death follow a birth, or vice versa? What would best serve the larger narrative? Possibly through our own predilections, many of the stories in this anthology explore darker themes—with grace, beauty, and grit—and we found ourselves allowing some of the lighter, happier stories to serve as palate cleansers. We asked: if the anthology is one long menu, does one course sour the taste for the next, or do they inform one another in a way that enriches the experience of reading them together? Where will our reader need a breath, and how do we give it to her? Should a heavy story be followed by one of similar theme and weight, or is it best to transition with a lighter story before descending again? Astoria to Zion has both kinds of transitions. 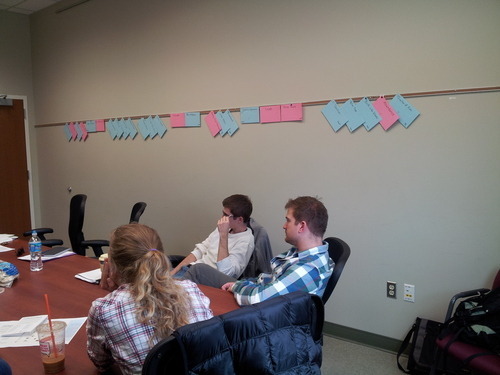 Once we established themes, we began ordering again, this time looking at story length and style. Were two shorter pieces adjacent to each other? Yes? Split them up. Had we allowed ample room between non-traditional narratives, or stories told in more experimental forms? Finally, we were very aware of the last line of the last story. Did it serve as a fitting close to the end of the anthology as a whole? We think so, but you’ll have to be the judge! Happy Reading.